Mayor Kevin Faulconer has once again changed his mind about how tall new developments should be around a new station on the $2.1 billion Mid-Coast trolley line. Now, Faulconer has returned to his original proposal to ask the City Council to allow developers to build up to 100-foot buildings along the Morena Corridor, near the planned Tecolote Drive trolley station, and up to 65 feet in a nearby area eyed for new development. That change follows a September decision to relent to pressure from community members and former Councilwoman Lorie Zapf, then running for re-election, who demanded the city maintain the area’s existing height limit of 30 feet, which developers could push to 45 feet under some conditions. City planners are back to proposing the plan that would allow more development near the trolley station. It’s expected to go to the Planning Commission for a vote next month, and the City Council for final approval sometime after that. Nearly five years ago, the city decided to retain a 30-foot height limit at another new trolley station nearby at Clairemont Drive. That decision is unchanged. The city has in multiple ways committed itself to encouraging dense development of homes and businesses near trolley stations, including in its general plan, adopted 10 years ago, and its oft-touted plan to halve the city’s carbon footprint by 2035, adopted in 2015. But the city has not always made good on those promises. Faulconer has signaled this year that he is taking a new approach, and pushing for bigger changes to city development rules, rather than compromising with community groups that prefer more modest reforms. He, for instance, last week promised to undo all height limits on new development within a half-mile of transit. That change would have applied to this area of Linda Vista even if the more modest community plan had been adopted, but there is no guarantee the mayor’s request for sweeping citywide change to development regulations near transit will be approved by the City Council as he proposed it last week. If nothing else, his proposal for this area near a new Mid-Coast trolley station is more consistent with his new citywide vision. “Mayor Faulconer has set an ambitious housing reform agenda, which means staff is working to ensure the plan for the Morena Corridor will encourage the housing our community needs,” said Faulconer spokesman Greg Block in a written statement. Last week, the city planner for the area communicated the city’s new direction to an active community member in an email. James LaMattery – who runs the website Raise the Balloon, named after a demonstration held by the group in which they raised red balloons to protest the city’s height limit proposal – asked City Planner Michael Prinz if it was true that the city was going back on its decision to step away from the proposed changes. Prinz outlined the city’s decision to increase allowable building heights, including an increase to 45 feet in the community areas that aren’t immediately surrounding the trolley stop, and added that the city would stand by a separate community request to support the construction of a new (but unfunded) pedestrian bridge over I-5 that would better connect the area to Mission Bay. “Thanks for confirming,” LaMattery responded. The mayor’s back-and-forth decision took place within a shifting political environment. 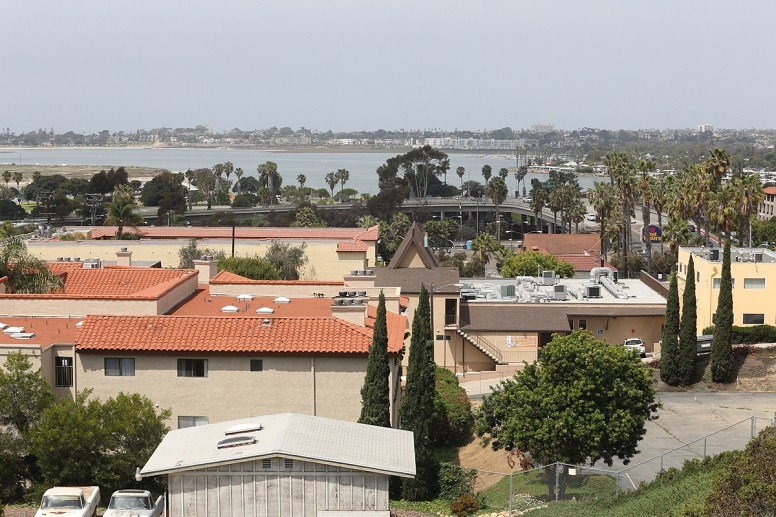 Zapf was a Republican ally running for re-election in the area when the community first grew animated over the city’s proposal, back in 2014 when Faulconer first backed away from making changes around the Clairemont Drive station. She won the race but was facing an even stiffer challenge last year when she demanded the city again abandon a proposal to raise building height limits, this time near the Tecolote Drive station. But unlike in 2014, Zapf lost her race in November, making way for Democratic Councilwoman Jen Campbell to represent the politically active coastal district. That means Campbell will have to deal with the reverberations of the mayor’s decision, rather than a fellow Republican. Campbell is taking a wait-and-see approach to the mayor’s change of heart.